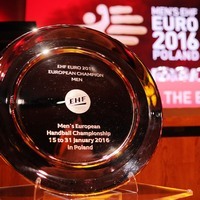 There is a high interest among the members of the European Handball Federation to host the EHF EURO in 2022 and 2024. 13 different nations have expressed an interest to host the flagship event for Europe's men's and women's national teams with some of them expressing a joint interest together with other nations. The Men's EHF EUROs 2022 and 2024 will be played in January, the Women's EHF EUROs 2022 and 2024 will be played in December of the respective year.